Innovative range of microwave ovens, with a wide range of functions and programs to give free rein to your cooking habits and tastes. The perfect choice for rapid, fat-free cooking, that preserves all the nutrients of food. 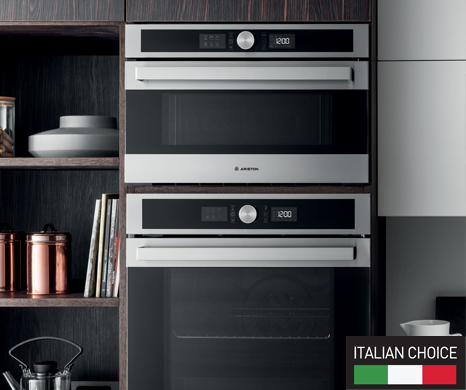 The speed of cooking guarantees lower energy consumption. Copyright 2017 © Ariston, 2017. All Rights Reserved.